Far in the future, 60,000 light-years from Earth, a loose confederacy of Terran exiles is locked with the enigmatic Protoss and ruthless Zerg swarm. Each species struggles to ensure its own survival among the stars in a war that will herald the beginning of mankind's greatest chapter - or foretell its violent, bloody end. Danny Liberty was a good reporter...too good. When his investigations struck too close to the heart of the corrupt Terran Confederacy, he faced a simple choice: continue his current series of exposés, or take a hazardous new assignment covering the Marines. Jake Ramsey - an unassuming yet talented archaeologist - has been given the chance of a lifetime. Hired to investigate a recently unearthed Xel'Naga temple, he knows this latest assignment will open up whole new possibilities for his career. Yet when Jake discovers the remains of a long-dead protoss mystic, his hopes and dreams are irrevocably drowned in a flood of alien memories. Bonded to the spirit of the dead protoss, Jake has become the sole inheritor of the protoss' total history - every event, every thought - every feeling. great listening, can't wait for the next book! Sixty-thousand light-years from Earth, the corrupt Terran Confederacy holds the Koprulu sector tightly in its tyrannical grip, controlling every aspect of its citizens' lives. One man dares to stand up to this faceless empire and vows to bring it to its knees: Arcturus Mengsk - genius propagandist, tactician, and freedom fighter. A monstrous act of bloody violence sows the seeds of rebellion in Arcturus, but he is not the first Mengsk to rail against such oppression. Before Arcturus grew to manhood, his father, Angus Mengsk, also defied the Confederacy and sought to end its reign. 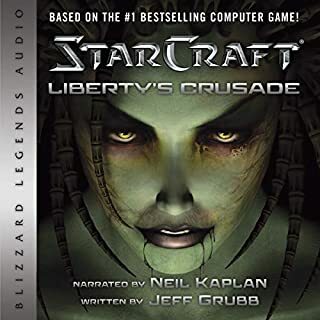 great listening & listening, need more starcraft!! An all-new, official prequel novel to The Battle for Azeroth, Blizzard Entertainment's next expansion to the critically acclaimed World of Warcraft video game. For Anduin Wrynn, king of Stormwind, and Sylvanas Windrunner, warchief of the Horde and queen of the Forsaken, there is little time to rebuild what remains and even less to mourn what was lost. Azeroth's devastating wound has revealed a mysterious material known as Azerite. In the right hands, this strange golden substance is capable of incredible feats of creation; in the wrong ones, it could bring forth unthinkable destruction. For peace to be possible, generations of bloodshed and hatred must be brought to an end. But there are truths that neither side is willing to accept and ambitions they are loath to relinquish. As Alliance and Horde alike grasp for the Azerite's power, their simmering conflict threatens to reignite all-out war - a war that would spell doom for Azeroth. This book is just great. It's narrated by King Anduin's voice actor from the game, who performs excellently in every role (except Moira, but I'll give him a pass because the rest were great). Each chapter starts with a minute of music from the in-game location the chapter takes place in. 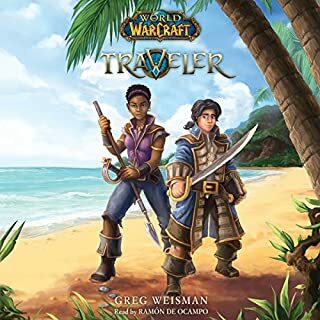 On top of all that, the story is gripping and compelling, with enough background and context added to be enjoyable to players of World of Warcraft and casual readers alike, which is rare in a novel of this type. All in all, a fantastic experience I heartily recommend. A whole lot of nothing.. This is the worst wow book to date for a simple reason that it is supposed to lead into the Battle for Azeroth expanssion yet it spends 1/3 of the book dealing with goblins setting up camp to mine and do research on azurite and the rest on setting up the meeting in Arathi Highlands where nothing that would lead us into a full out war happens. The narrator did a good job, the story however is one that we could have gone without and nothing would be missed. I usually like books written by CG but this, for me at least... missed the mark. Narrartion was great. Ending was meh. Over all uneventful story till the very end. Never been a fan of soft characters, which is what the King is written to be. Book is a filler to a greater story(obviously). Would have just liked something greater from a story telling team. Only sat through it to make sense of the current xpac. This is a tough one to get through. Don't get me wrong. The book was well written and performed. My issue is that this book was not what I believed it was represented as. I understood that it would add to the lore and storyline. It simply told the story of events that were already revealed. Voice acting is great, although I would like to see Anduin's voice change a bit since he is now in his 20's and still sounds like a little boy. The bad part though is nothing really happens in the book that hasn't already been known. The end scene was basically the only thing new and really you knew it was coming the whole time anyways. Just not a fan of 2 chapters of exposition and then 1 paragraph of substance. Golden, back again with a new title as a tie in for World of Warcraft: Battle for Azeroth, shows a disappointing lack of ability to repress her writing's linguistic crutches. Depending on her usual favorite phrases or actions to color expressions can sometime lead to some exhaustion on the part of the listener (At no fault of the performer reading her words who was quite excellent and showed much skill in his impressions of various characters.). That said if you are able to push past some of the cheesier dialogue or descriptions the story is fairly decent and well put together. I was hoping for a little tidbit on the battle for Loredaeron but was satisfied with what Golden delivered for a narrative. I was still sad when it ended as these tie-ins usually do, that being on a somewhat inconclusive finally to set the stage for the coming expansion. I hope this doesn't sound too harsh, its just after so long of listening to Golden write, these things become more apparent and one wonders why these issues weren't nipped sooner. Worth a listen if you care about these sorts of things. The book was framed as setting up battle for Azeroth but the story is inconsequential and the character development is flat. Does not advance the story barely even sets up for the expansion. Not bad but feels like a missed opportunity. Side characters are the best part . First Warcraft book I've heard, and I loved it! 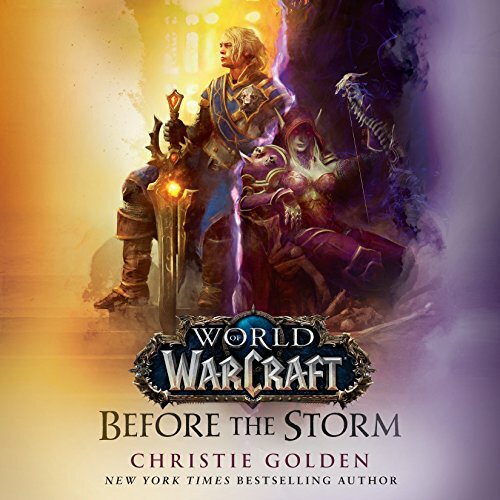 Before the Storm has been the first Warcraft novel I've heard, having only read the Chronicle Volume 1 prior, and I absolutely loved it! 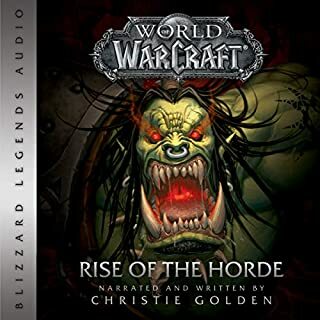 Christie Golden is a gem that Blizzard has been fortunate to uncover, and I'm looking very much forward to diving further into the Warcraft lore via the books also! A side note is that playing world of Warcraft / having prior knowledge of what currently goes on in the Warcraft universe, is required for full enjoyment of the book. 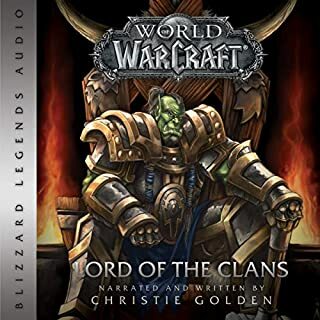 For fans of the game preparing for battle for azeroth, this audiobook is simply great. 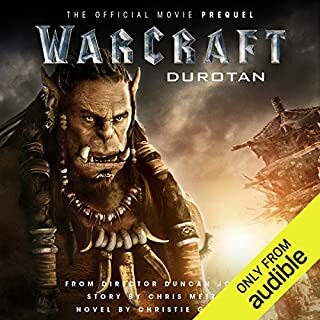 Its on another level compared to other warcraft novels, and even if the plot is not explicitly the driving force of events, it captures the attention of anyone listening. Josh Keaton is an excellent narrator for this book. Not only does he provide believeable voice inline with ingame counterparts, but as the actual voice actor of Anduin, one of the two protagonists its simply amazing and brings so much immersion to the entire reading. I found this to be a fantastic book, very well laid out for world of Warcraft fans. For those who have not kept up with the game story, it would be a good idea to check that out first, as a great many references are fairly recent developments in the game itself. Josh does voices throughout the book, but it would be nice for such a big project to include some of the more popular WoW voice actors. a good book, but I wanted to hear more about Sylvannas story. but they are probably saving it to later. The character development is good overall. Especially all the minor characters. The biggest flaw of the book is that they make silvanas look so evil. They keep making me see things from her perspective. They keep making me think that she actually has a conscience , but the all of a sudden she is back to the massacre thoughts. An original Christie Golden Warcraft book, that not only portrays characters so well, full of emotion and highlighting the morality, but opens for perspectives, still picturing a morally gray world. 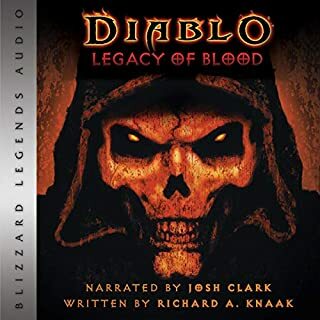 As for the narrator, I don't have a lot of eperience with audiobooks, but Josh Keaton is an amazing voice actor (best goblin, dwarf and Anduin impersonations). And even that giving voice to female character is so hard for a male narrator, he did an excellent job with the tone of the voice for Sylvanas (playing her ingame voice in my head maybe helped a lot). I totally recomand this book for any warcraft lore fan out there, as for anyone eager for Battle for Azeroth. The book is voiced by Anduin's voice actor who is equally skilled in other voices such as goblin. It is super easy to listen. The story gives nice insight into Sylvanas' thoughts and Forsaken day to day lives and struggles. We as players are used to seeing both factions without realising what an ordinary aliance human who probably never seen then before thinks of them. Overall very nicely read and written. Highly recommended listen.